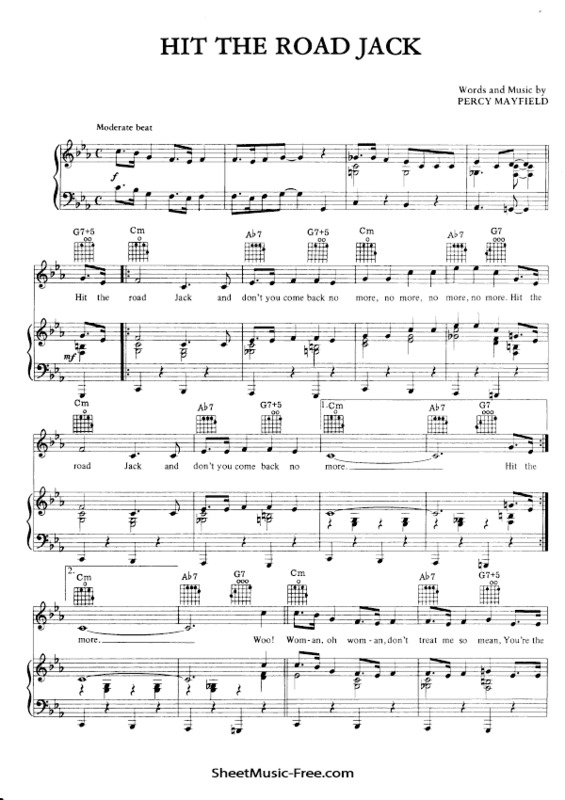 “Hit The Road Jack Sheet Music” by Ray Charles, “ Hit The Road Jack Sheet Music” for Piano / Vocal/ Guitar Chords , Original key: C Minor, number of pages sheet music PDF: 3, Video and Lyrics song Hit The Road Jack Sheet Music. “Hit The Road Jack’” is a song written by the rhythm and blues artist Percy Mayfield and first recorded in 1960 as an a cappella demo sent to Art Rupe. It became famous after it was recorded by the singer-songwriter-pianist Ray Charles with The Raelettes vocalist Margie Hendricks. Hit The Road Jack Sheet Music Ray Charles.